Description: As a body of Christ, we need each other. Christian friendships are not just for prayer and times of fun fellowship, but for mutual encouragement and to build each other up. Is there anyone you know going through any of these situations? Share with them these reminders from the word of God today! Adulting is hard. Things change but God never changes. Are you going through a season of change? Are you facing anxieties from the uncertainties of life? Life is full of transitions, and sometimes these transitions are unexpected. Things change, people change, and places change. But we can be comforted knowing that we are never alone—God’s presence and love is constant through life’s changes. 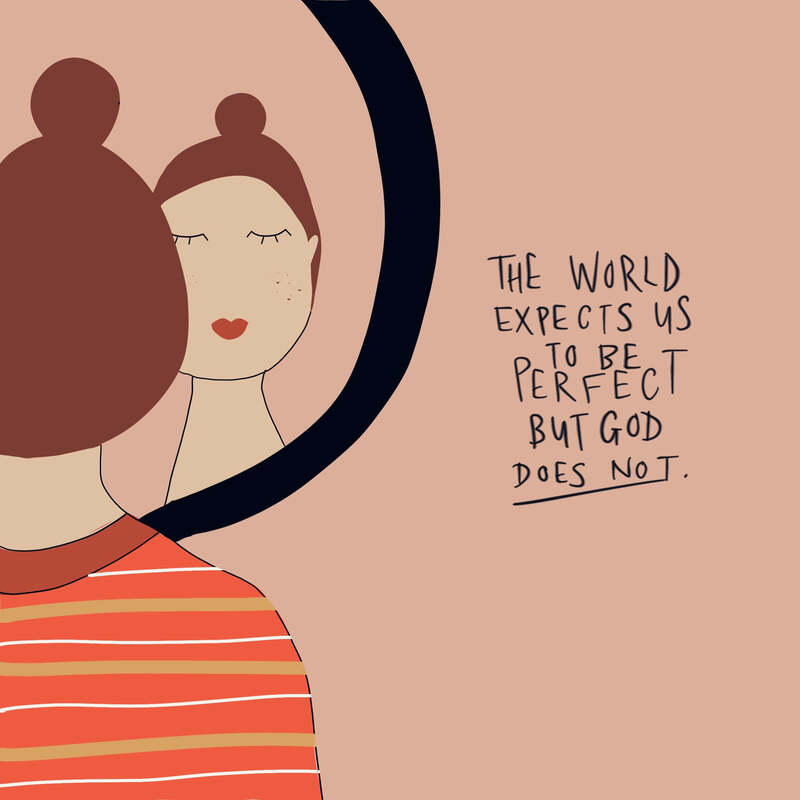 The world expects us to be perfect but God doesn’t. The world continually tells us how we should be, what we should think, and do. We often carry the world’s expectations on our shoulders and feel weighed down by the unbearable pressure to live up to it.However, this is a faulty concept of perfection and one we do not have to strive for. Instead, God has made a way for us. He doesn’t call us to be perfect in the way we would imagine, but to be completed in Christ. It is through Jesus—the only perfect One—that we can stand faultless before God. Let’s remember to live as new creations by His sufficient grace. 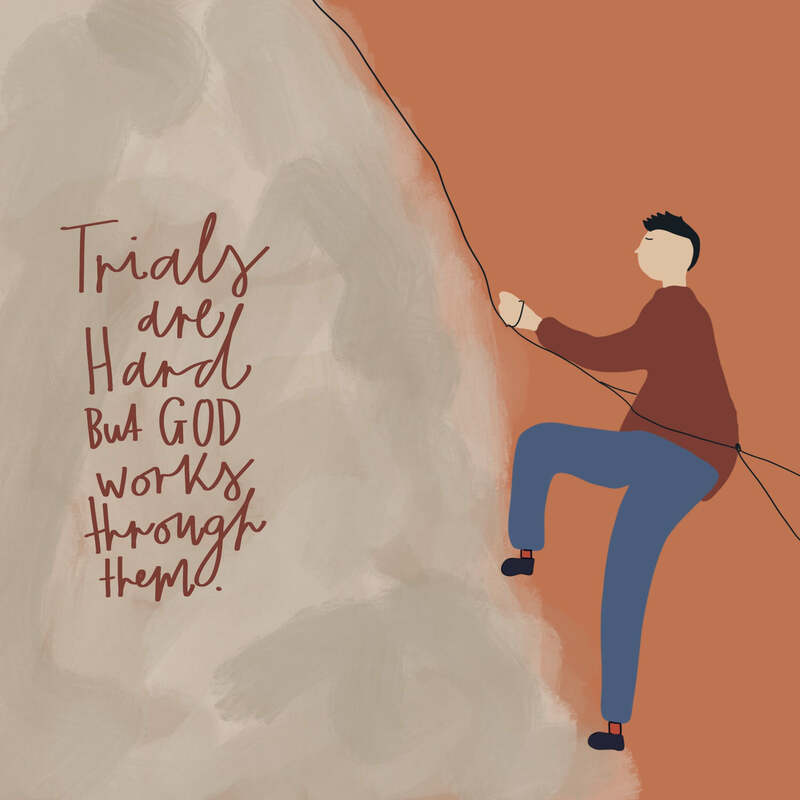 Trials are hard but God works through them. All of us have happy days and not so good days, sweet moments and bitter moments, or cruising-through-life seasons and extremely difficult seasons. No matter how big or small, all of us face trials. And they are often emotionally and physically draining. At times like these, we may discover that we have been relying on our own strength instead of His. It’s never too late to realign our focus. Let us fix our eyes on Him and persevere with His strength, knowing that He works out His best purposes for our good. Things don’t always go our way but God is still in control. We may make plans, dream dreams and pray our way through them, but we know that reality never pans out exactly the way we envision it to. To our prayers, God may answer with a yes, a no or a wait. It’s not easy giving up our control to God. 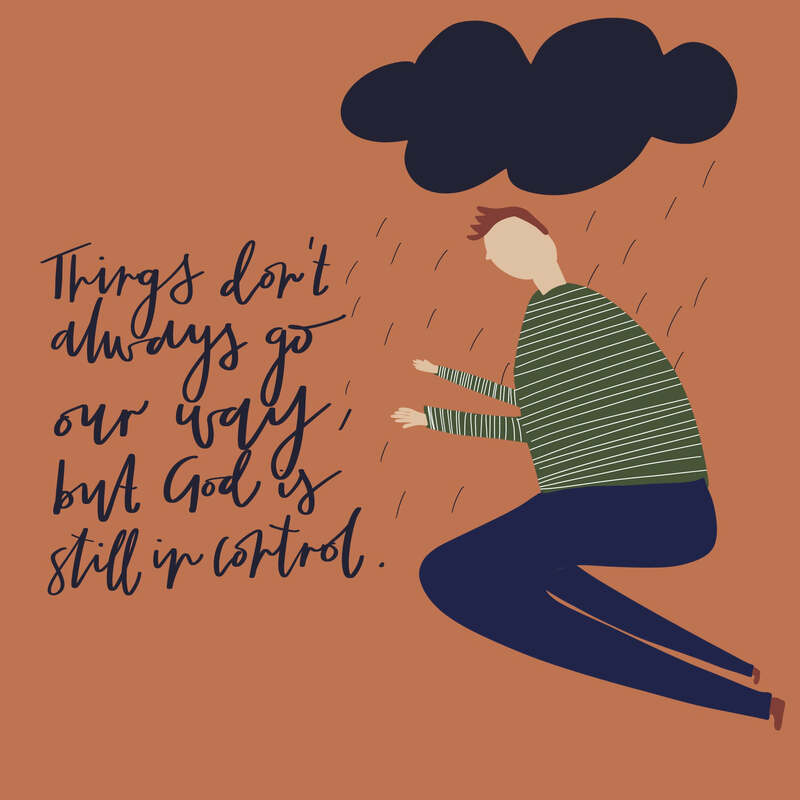 But we can put our frustrations and fears aside, knowing that He has everything under His control—even the smallest details. 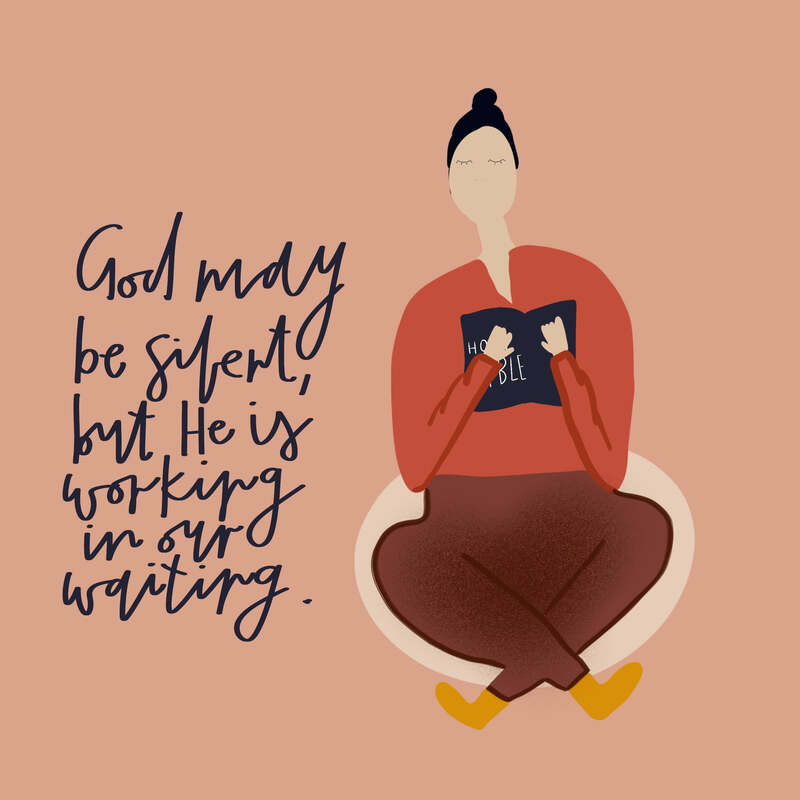 God may be silent but He is working in our waiting. Our fast-paced world has influenced and shaped us to be impatient. We simply hate to wait, and we demand for answers and things to be done quickly. But God is patient in nature and works differently from us. Often times, He calls us to wait—however short or long it may be. During this period of time, it often feels like nothing is changing or worse yet, nothing is going the way you expected it to. But let us hold fast to His love and trust that there is purpose behind all that He does. Barbara, l found these scriptures so apt and extremely encouraging! The artwork is beautiful and bold – l love it! I [almost] have the same experience as you, Barbara since I never get to do that on a regular basis. I stopped believing in God when I went back to college last 2017. On that year, I didn’t get a chance to worship, read the Holy Bible or go to church because I’m afraid to commit to our Lord. 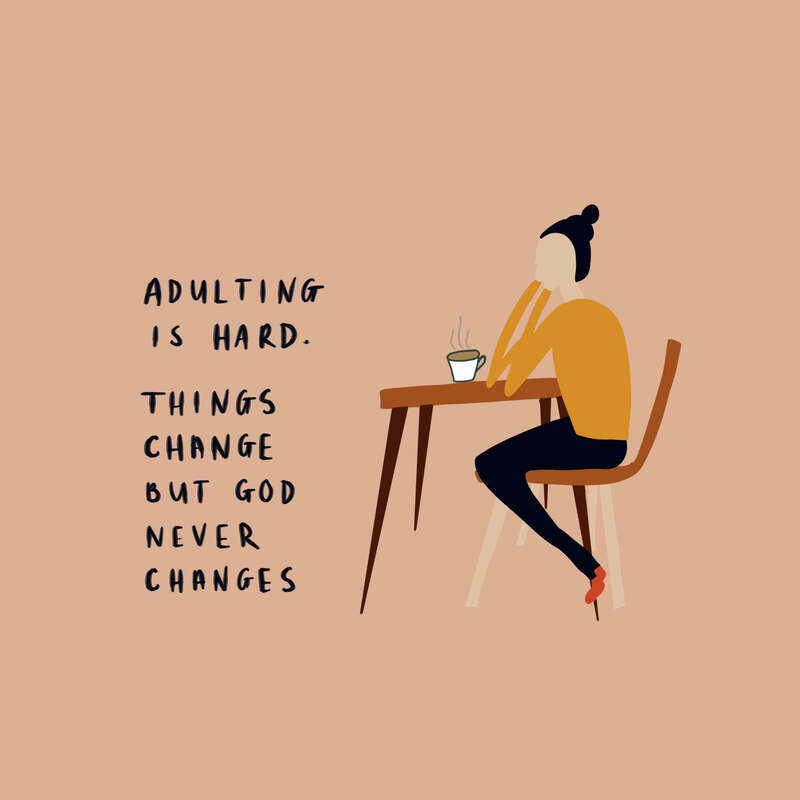 But with your tips about adulting, it makes me a child of God, and I appreciate those helpful word. Amen.